Super fast, sweet, and to the point blog post. 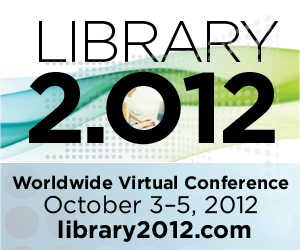 Catch my presentations for the Library 2.012 Worldwide Virtual Conference! ReTooling Professional Learning with EdCamps and Beyond! If the session link doesn't work for you, please copy and paste into your browser.